Japanese visual novel Fate/stay night is coming to the figure maker Good Smile's coffee shop in Matsudo City. The temporary cafe will run until Christmas and is called Fate/Type-Moon, a reference to the visual novel's developer Type-Moon. Even if you aren't into Fate/stay night, the cafe is pretty cool. 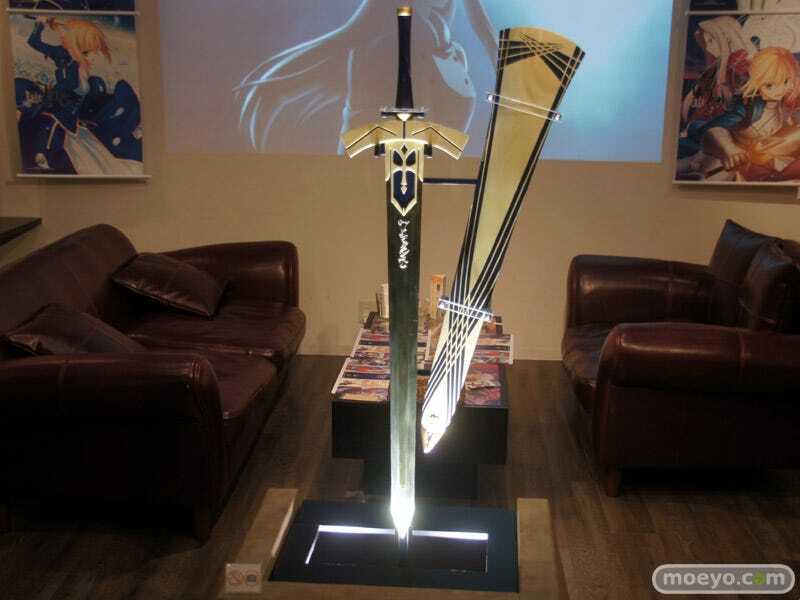 There's a life-sized Excalibur like the one Fate/stay night character Saber wields and a model pistol that is okay for you to touch. Amazing to think that people probably won't try to walk off with this stuff, but they won't. Good Smile is offering items for sale, too. Other displayed goods you cannot touch, but photography is allowed. The walls are lined with figures and illustrations, and there are Fate themed snacks for you to munch on. More in the gallery above. Fate/stay night was first released on the PC in 2004. For more about the game, check Fate/stay night's wiki.